. . .Emily eagerly and gratefully accepted the suggestion. An hour was arranged for the meeting on the next day; the correspondence was left under the care of Agnes; and the courier's wife took her leave. Weary and heartsick, Agnes lay down on the sofa, to rest and compose herself. The careful nurse brought in a reviving cup of tea. Her quaint gossip about herself and her occupations while Agnes had been away, acted as a relief to her mistress's overburdened mind. They were still talking quietly, when they were startled by a loud knock at the house door. Hurried footsteps ascended the stairs. The door of the sitting-room was thrown open violently; the courier's wife rushed in like a mad woman. 'He's dead! They've murdered him!' Those wild words were all she could say. She dropped on her knees at the foot of the sofa—held out her hand with something clasped in it—and fell back in a swoon. Es una novela gótica y fiel a su época. Me recordó mucho a "Mi prima Rachel" de Daphne Du Maurier. Tienen mucho en común; Sin olvidar que esta fue escrita en 1878 y la de Du Maurier en 1951. De lectura ágil, su desenlace no defrauda como muchas de su tiempo. 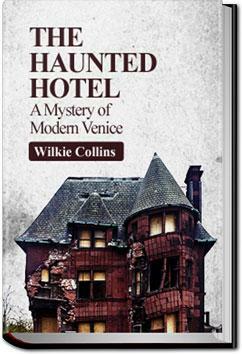 This is my third Wilkie Collins novel and I loved it just as much as the other two. Ehhhhhhhhh not sure about this one! The last chapters transform this story from decent to pretty good. The title promises ghosts, but the way that is handled is subtle and never in your face. The supernatural element is there, but it never gets the attention you'd expect in a story like this.